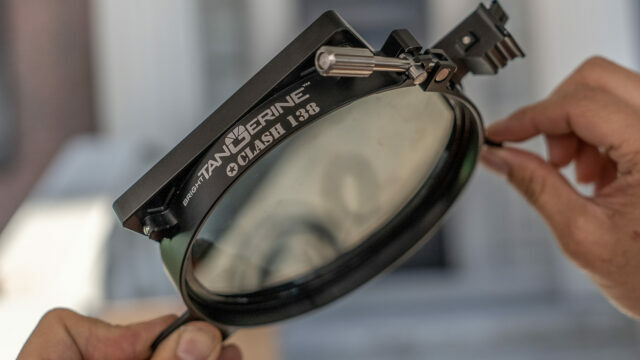 UK based camera accessories manufacturer, Bright Tangerine, first introduced the new Clash 138 lightweight Matte Box at NAB 2018 and now we’ve been able to get our hands on a working model at Cine Gear. It’s light, very light, and they managed to somehow squeeze three stages into a single matte box that weighs only 177 grams (6.2 0z). Details and hands-on the above video. 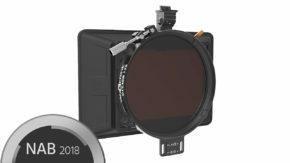 You can fit two 4×4 or 4 x5.65 filters in the Clash 138 matte box and a 138mm circular filter as well. Personally, I don’t use 138mm filters at all, but having the ability to easily turn (120 degrees of rotation) a 138mm polar within the matte box might just be the push I need to go pick up one. Again though, three stages in a matte box this size is very, very useful. 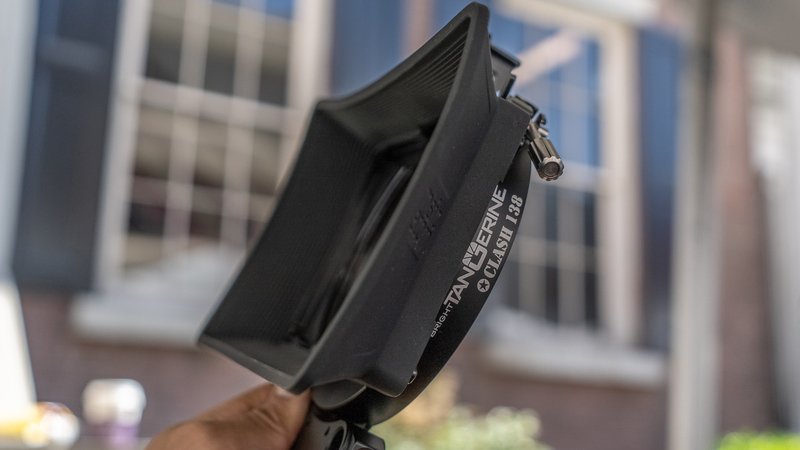 Priced at around $600, the matte box is competitively priced, but you’ll want to add additional accessories like a 19mm/15mm and a few clip-on adapters to really get the most out of it for all shooting situations. There are a lot of matte boxes out there, but given the weight this one seems perfect for run and gun, aerial and steadicam shoots. 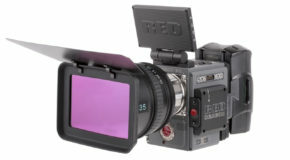 As an owner of the Misfit Atom (the predecessor of the Clash 138) myself I love the ability to clip a matte box directly on a lens and the Clash 138 promises to continue that lightweight easy to use tradition. What do you think? 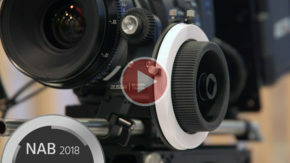 Will the Clash 138 Matte box find a place in your kit? Comment below!